Did you know that no matter where you are in Pennsylvania, you are less than an hour’s drive from at least one winery? This is especially true in the Poconos region where the soil is rich and the wine is incredibly delicious. During your stay in Hawley, you’ll want to be sure that Antler Ridge Winery is on your list of things to do. This local winery produces award-winning wines and beautiful views that are ideal for a romantic evening or memorable night out with your friends. It’s the perfect addition to any itinerary and a wine tasting experience that is sure to delight your taste buds. The Antler Ridge Winery in Hawley, PA, is just one of the many fantastic attractions in our area. Don’t forget to stop by Hawley Silk Mill for a unique shopping excursion or a fresh-baked treat from the Cocoon Coffee House and Bakery. The state-of-the-art tank rooms are electronically controlled and maintain the wines at just the right temperature during various stages of production. This process creates tantalizing white, red, and juice-based wines that are rich in color and flavor. Antler Ridge Winery also caters to their fellow winemakers by providing home winemaking supplies and juices. They’ll be happy to share their own stories and tips that can help winemakers of all skill levels craft a wine they can be proud of. Since 2006, Antler Ridge Winery has received dozens of medals and awards for their mouthwatering selections. Some of these awards have been recognized across the globe! During your visit to the winery, be sure to try a glass of these top selections. Fireside Classic: A fresh and crisp white wine with a fruity aftertaste. Creek Side White: This PA Gold medal winner is so naturally sweet and delicious, the grape flavor jumps out at you as soon as you pop the cork. Diamond: This selection is one of the winemaker’s personal favorites! The grape flavor is just the right amount of crisp and clean. Island Breeze: This wine is a tropical getaway in a glass! You’ll enjoy sweet and fresh island flavors down to the very last sip. Apple Infusion: An apple-infused wine with a special hand selection of complementary spices. Thirsty for more? You’ll find a wide selection of succulent wines and cheeses right here in our Cocoon Coffee House and Bakery! Each of our products, including the wine and cheese, is sourced within 200-miles of our location. 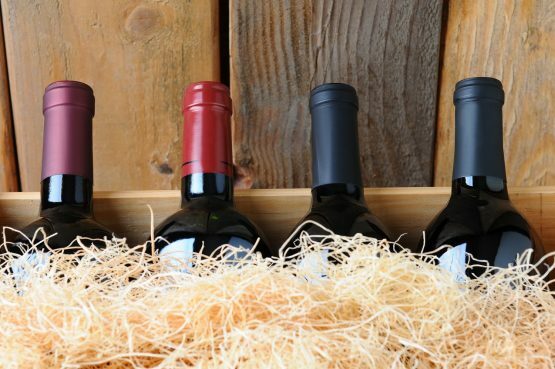 Find your favorite wines and take them home to enjoy for yourself. You can also give them as a gift to your friends and family. The bakery is also a fantastic spot to find other tasty treats including artisanal bread, cakes, craft beer, and locally roasted coffee. Constructed during the 1800s, Hawley Silk Mill is a historic factory turned lifestyle center filled with a wide variety of activities for the whole family. Enjoy a fitness, pilates, or cooking class. Explore our in-house art gallery or gain interior design inspiration at Shelter. No matter what you decide to do, you could spend a full day experiencing everything our center has to offer.